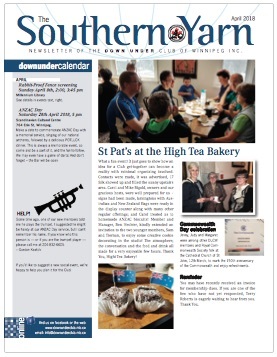 This entry was posted in Australia, Commonwealth Corner, Events, Membership, Plonk and Tucker, Yarn on April 4, 2018 by Hydesmith. 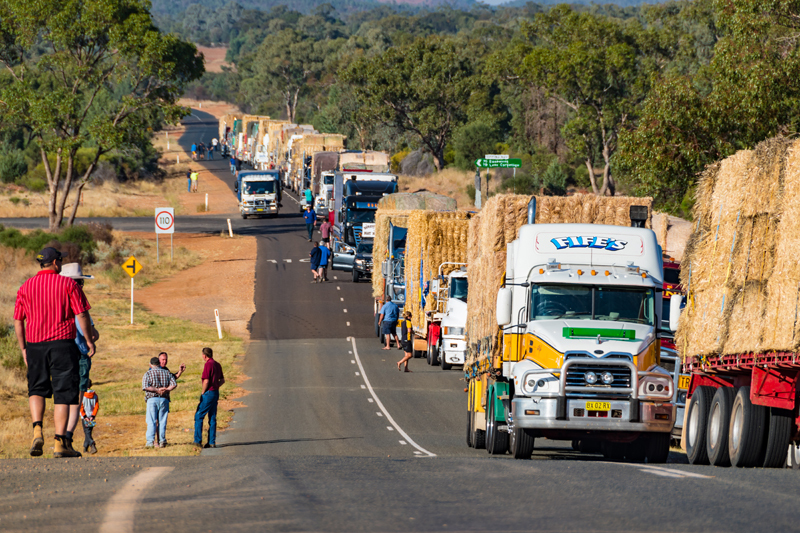 On January 26, 2018, the 13th Burrumbuttock Hay Run headed west to provide essential resources to drought-stricken farmers across regional New South Wales and Queensland. What exactly is the hay run and how did it get started? The Burrumbuttock Hay Run (BHR) was founded by Brendan Farrell in 2014. When he heard about a farmer in Bourke, NSW, struggling in the drought, Brendan offered to take him a truck load of hay to help him out. There have now been 13 successful hay runs delivering donated hay to drought-affected farmers all over NSW and Queensland. BHR is about mates helping mates in times of need. Farmers impacted by drought often struggle to ask for help, and many also battle mental health issues because of the financial strain of trying to keep the farm afloat. This entry was posted in Australia, Getting to Know, Membership on February 11, 2018 by Jenny Gates. 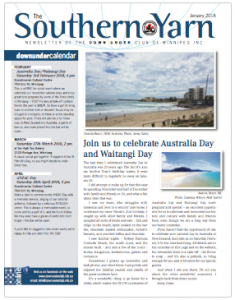 The February Yarn is complete and ready for you to read online. Download it now and check it out. Go to the YARNS page for the whole list. This entry was posted in Membership on February 11, 2018 by Hydesmith. 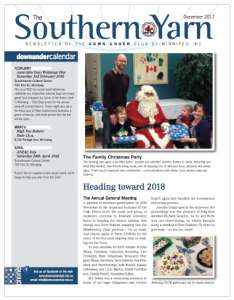 The first issue of The Southern Yarn for 2018 is ready for you to pick up and/or read online. 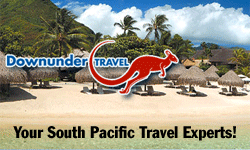 Just click on the image or visit the Yarns home page. 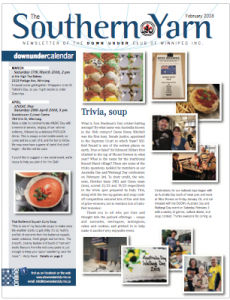 This entry was posted in Events, History, Membership, Winnipeg, Yarn on January 15, 2018 by Hydesmith. This entry was posted in Australia, Commonwealth Corner, Events, Membership, New Zealand, Yarn on December 12, 2017 by Hydesmith.